Ceramics and pottery are widely created in different industries including house and home products, architecture and art. As 3D printing technology evolves, many initiatives have been presented to 3D printing using different materials such as metal, food and clay. 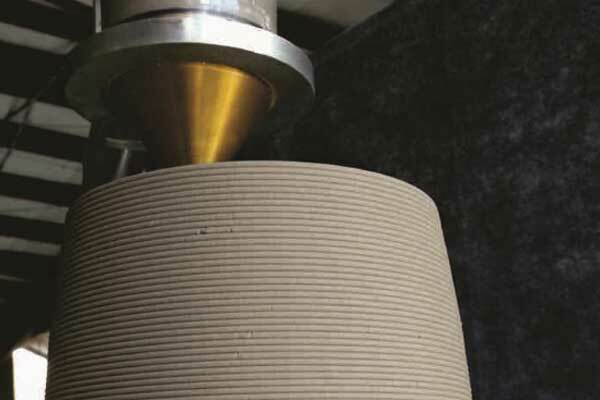 Using the clay as a 3D printing technology would open the doors for many possibilities including printing for similar materials such as cement. 3D printing with these materials can develop expansion and introduce technology to print house products to even fill up entire rooms. The traditional pottery industry requires expert hand and accuracy in order to build the ceramics and pottery products professionally. However, this specialized accuracy is difficult to achieve especially in a large volume production basis. The 3D PotterBot is a new 3D printer presented by the DeltaBots Company. The design of the new 3D printer targets clay as a 3D printing material. The design of the 3D printer tried to overcome the problems that may occur using the clay material. The clay is added layer over layer until it builds the whole product such as plates and vessels. Why is the 3D PotterBot special? The 3D PotterBot is supported with a constant flow RAM extruder. This extruder ensures accurate layers and a constant width without any variation. Due to the nature of the 3D printed material, it is challenging to produce accurate layers and paste it all together to build the whole model. In the 3D PotterBot, the extruder is not attached to the delta-style arms. Instead, the build plate is controlled by delta components under it. The RAM extruder acts like a head in desktop 3D printers. This head exudes clay instead of plastics. The extrusion innovated technology ensures constant flow of the clay materials added evenly with different flow speeds. As the images indicates, the new 3D PotterBot printer has the capacity for a large printing volume. Maximum height for printing is around 40 cm. The reason for this large size is the design of the extruder and 3D printer bed. As the extruder is fixed, the bed moves up and down as the layers are added into each other. In addition to the above features, the 3D PotterBot includes a high capacity stepper motor that controls the RAM extruder. The 3D printer comes with two different RAM extruder sizes, the first one is 2000ml and the other is 4000 ml. The RAM extruder tubes are made out of polycarbonate. Additionally, the 3D printer comes with four interchangeable nozzles and a toolkit to help you to start with the 3D printing directly. The 3D printer is designed to handle the high pressure produced by extruding the clay materials. This gives it a longer lifetime and allows users to try different clay types. 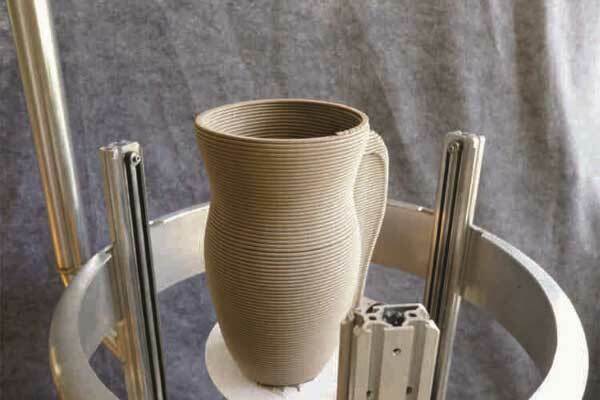 The 3D PotterBot is one of the unique 3D printers that solved many of the problems faced when printing with clay or similar materials. 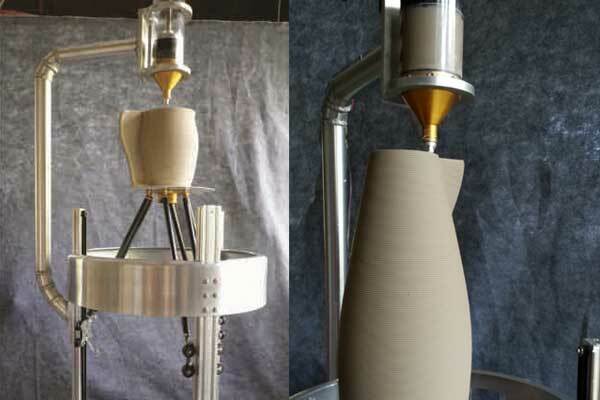 This can help taking 3D printing technology to another dimension. The output of the 3D PotterBot printer is very accurate, which makes it suitable for professional work. The technique used in clay 3D printing can be used in printing with similar materials such as cement. The research conducted by DeltaBots is not only useful for clay printing, but also in 3D printing with materials with similar properties. 3D printing technology follows similar rules and processes. The different designs for 3D printers help users to experience different materials. For example, using the RAM extruder helped the 3D PotterBot printer to overcome the nature of the clay material such as the thickness. What Are the Types of 3D Printing Technologies?